Stay cool... and shop jewelry! Yes, it's definitely hot outside so let's stay indoors and... browse some new and extra-cool jewelry! Here, for instance, are some handmade "marea alta" bracelets in bronze and silver from the 2018 Fall-Winter Maddalena Bearzi jewelry collection. 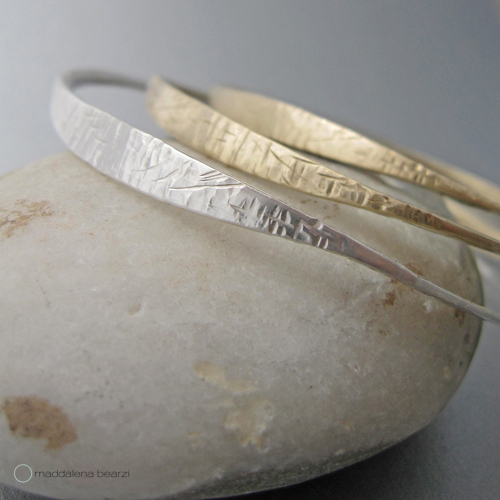 Stackable, easy to wear, elegant, these ocean-inspired bangles and already for sale online in our limited edition page. And if you have any questions, just email us. "The moon lives in the lining of your skin, " wrote Pablo Neruda. These two handmade lunare rings take inspiration from the beautiful celestial body that orbits our planet Earth. 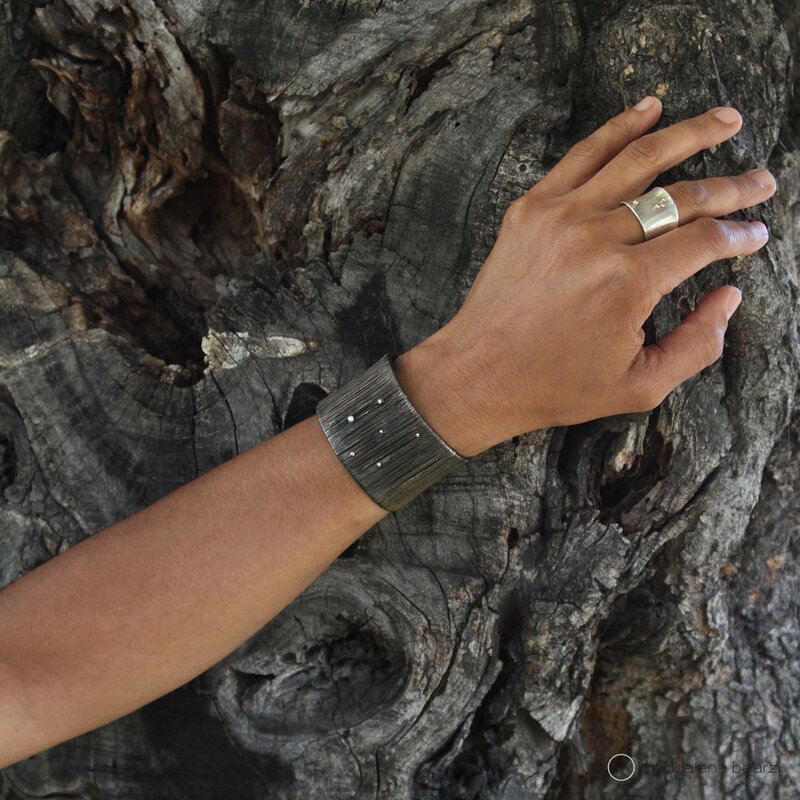 The rings are one of a kind and integral part of my "pianeta" jewelry collection. Here is something special to wear on your finger!